The Financial Statements of a company is most important document until recent past, when non – financial reporting started to gain its momentum. This is a reporting of growth in business in monetary units. Every company shall prepare and keep at its registered office books of accounts and other relevant books and papers and financial statement for every financial year. These books must give a true and fair view of the state of affairs of the company and its branch offices. These books must explain the transactions effected both at the registered office and its branches. These books shall be kept on actual basis and double entry system of accounting. These books or some of these books may be kept at a place other than registered office at the decision of the Board of Directors after filing with the Registrar of Companies a notice in writing giving full address of that place. This is not necessary to keep these books in physical form but may be kept in electronic mode. A company may keep proper books of account relating to transactions effected at the branch office and proper summarised return may be sent by the branch office to the registered office of the company. These books and papers maintained by the company within India shall be open for inspection by any director during business hours. In case of financial information maintained outside India copies of such financial information shall be maintained and produced for inspection by any director. The inspection in respect of any subsidiary of the company shall be done by the person authorised in this behalf by a resolution of the Board of Directors. Where an inspection is made by a Director or authorised person, the officers and employees of the company shall give all assistance in connection with the inspection which the company may reasonably be expected to give. The books of accounts of every company together with the vouchers relevant to any any entry in such books of account shall be kept in good order for a period of not less than eight financial year. Where an investigation has been ordered in respect of the company, the Central Government may direct that the books of account may be kept for such longer period as it may deem fit. If the managing director, the whole-time director in charge of finance, the Chief Financial Officer or any other person of a company charged by the Board with the duty of complying with the provisions of this section, contravenes such provisions, such managing director, whole-time director in charge of finance, Chief Financial officer or such other person of the company shall be punishable with imprisonment for a term which may extend to one year or with fine which shall not be less than fifty thousand rupees but which may extend to five lakh rupees or with both. The Financial Statements shall give a true and fair view of the state of affairs of the company or companies comply with the accounting standards notified and shall be in the form or forms as may be provided in Schedule III. 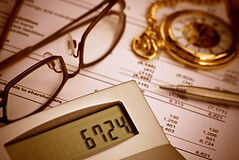 The items contained in financial shall be in accordance with accounting standard. Where the financial statement of a company do not comply with the accounting standards, the company shall disclose in its financial statement, the deviation from the accounting standards, the reason for such deviation and the financial effects, if any, arising out of such deviation. The Central Government, on its own or on an application by a class or classes of companies, may exempt in public interest any class or classes of companies from complying with any requirement of this section. Such exemption may be subject to such conditions as may be specified in the exemption notification. This Section 129 shall not apply to any insurance, banking, electricity and of such other class of companies. At every Annual General Meeting of a company, the Board of Directors, of the company shall lay before the meeting financial statements for the financial year. Where a company has any subsidiary, the company shall prepare a consolidated financial statement of the company and of all subsidiaries in the same form and manner as that of its own. The consolidated financial statement shall also be laid before the annual general meeting along with own financial statement. The company shall also attach along with its financial statement, a separate statement containing the salient features of the financial statement of its subsidiaries. Under this section, the word subsidiary shall include associate company and joint venture. A company shall not re – open its books of account and shall not re – cast its financial statement. the affairs of the company may mismanaged during the relevant period casting a doubt on the reliability of financial statements. The court or Tribunal shall give notice to all these authorities and consider the representations made by them before passing any order. do not comply with the provisions of section 129 or section 134 they may prepare revised financial statement or a revised report in respect of any of the three preceding financial years after obtaining approval of the Tribunal on an application made by the company. A copy of the order passed by the Tribunal shall be filed with the Registrar. The Tribunal shall give notice to the Central Government and the Income – tax authorities and shall take into consideration the representations, if any, made by that Government or the authorities before passing any order. Such revised financial statement or report shall not be prepared or filed more than once in a financial year. The detailed reasons for revision of such financial statement or report shall also be disclosed in the Board’s report in the relevant financial year in which such revision is being made. A copy of the financial statements, including consolidated financial statements, if any, auditor’s report and every other document required by law to be annexed or attached to the financial statements, which are to be laid before a company in its general meeting, shall be sent to every member of the company, to every trustee for the debenture-holder of any debentures issued by the company, and to all persons other than such member or trustee, being the person so entitled, not less than twenty-one days before the date of the meeting. In the case of a listed company, the provisions of this section shall be deemed to be complied with, if the copies of the documents are made available for inspection at its registered office during working hours for a period of twenty-one days before the date of the meeting and a statement containing the salient features of such documents in the prescribed form or copies of the documents, as the company may deem fit, is sent to every member of the company and to every trustee for the holders of any debentures issued by the company not less than twenty-one days before the date of the meeting unless the shareholders ask for full financial statements. A listed company shall also place its financial statements including consolidated financial statements, if any, and all other documents required to be attached thereto, on its website. A company shall allow every member or trustee of the holder of any debentures issued by the company to inspect the documents stated under sub-section (1) at its registered office during business hours. If any default is made in complying with the provisions of this section, the company shall be liable to a penalty of twenty-five thousand rupees and every officer of the company who is in default shall be liable to a penalty of five thousand rupees. 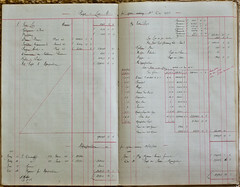 A copy of the financial statements, including consolidated financial statement, if any, along with all the documents which are required to be or attached to such financial statements under this Act, duly adopted at the annual general meeting of the company, shall be filed with the Registrar within thirty days of the date of annual general meeting. This filing is permitted with additional fees for a longer period under Section 403. Where the financial statements are not adopted at annual general meeting or adjourned annual general meeting, such unadopted financial statements along with the required documents shall be filed with the Registrar within thirty days of the date of annual general meeting and the Registrar shall take them in his records as provisional till the financial statements are filed with him after their adoption in the adjourned annual general meeting for that purpose. The financial statements adopted in the adjourned annual general meeting shall be filed with the Registrar within thirty days of the date of such adjourned annual general meeting. A One Person Company shall file a copy of the financial statements duly adopted by its member, along with all the documents which are required to be attached to such financial statements, within one hundred eighty days from the closure of the financial year. A company shall, along with its financial statements to be filed with the Registrar, attach the accounts of its subsidiary or subsidiaries which have been incorporated outside India and which have not established their place of business in India. Where the annual general meeting of a company for any year has not been held, the financial statements along with the documents required to be attached under sub-section (1), duly signed along with the statement of facts and reasons for not holding the annual general meeting shall be filed with the Registrar within thirty days of the last date before which the annual general meeting should have been held. If a company fails to file the copy of the financial statements before the expiry of the period specified in section 403, the company shall be punishable with fine of one thousand rupees for every day during which the failure continues but which shall not be more than ten lakh rupees, and the managing director and the Chief Financial Officer of the company, if any, and, in the absence of the managing director and the Chief Financial Officer, any other director who is charged by the Board with the responsibility of complying with the provisions of this section, and, in the absence of any such director, all the directors of the company, shall be punishable with imprisonment for a term which may extend to six months or with fine which shall not be less than one lakh rupees but which may extend to five lakh rupees, or with both. This entry was posted in Chapter IX - CA2013, Companies Act 2013, Governance and Responsibility and tagged Accounting Standards, Adjourned Annual General Meeting, Annual Filing, Annual General Meeting, Audit Report, Auditors, Balance Sheet, Books of Accounts, Branch Office, Chief Financial Officer, Companies Act 2013, Companies Bill 2012, Consolidated Financial Statements, CorpGov, CorpLaw, Corporate Governance, Corporate Law, Directors, Financial Statements, India, Inspection of Books, Legal Reforms, Managing Director, Members, Ministry of corporate affairs, Notes to Accounts, Profit and Loss Accounts, Provisional Annual filing, Re – casting of Financial Statement, Reforms, Registered Office, Voluntary revision of Financial Statements. Bookmark the permalink. This article is not providing sufficient details regarding how to intimate registrar for keeping of books of accounts in electronic form. It’s not clear that how to do only what needs to be done is only mention. it is more confusing. I appreciate your feedback. Article is indeed about what need to be done as it deals with legal requirements.